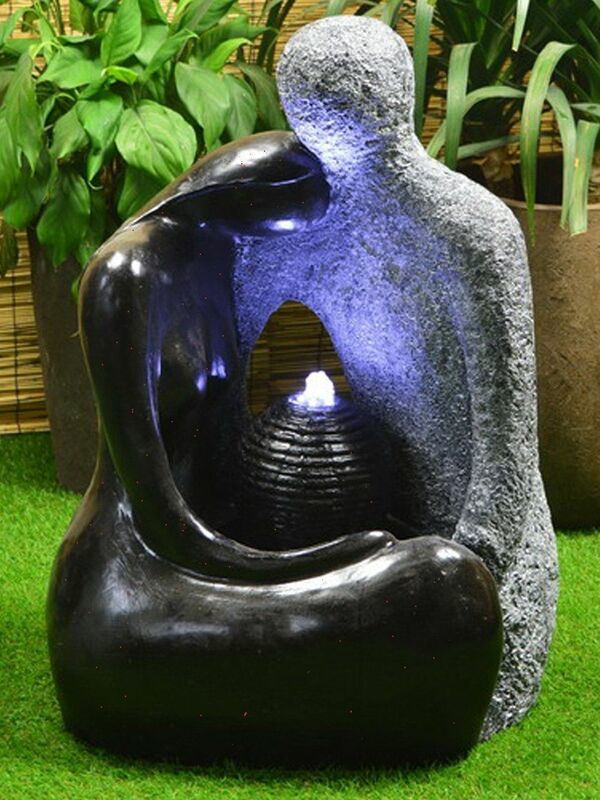 The Solar Powered Granite couple Water feature with Battery Back up Led lights and chargers a contemporary style water feature that will enhance any garden or patio. 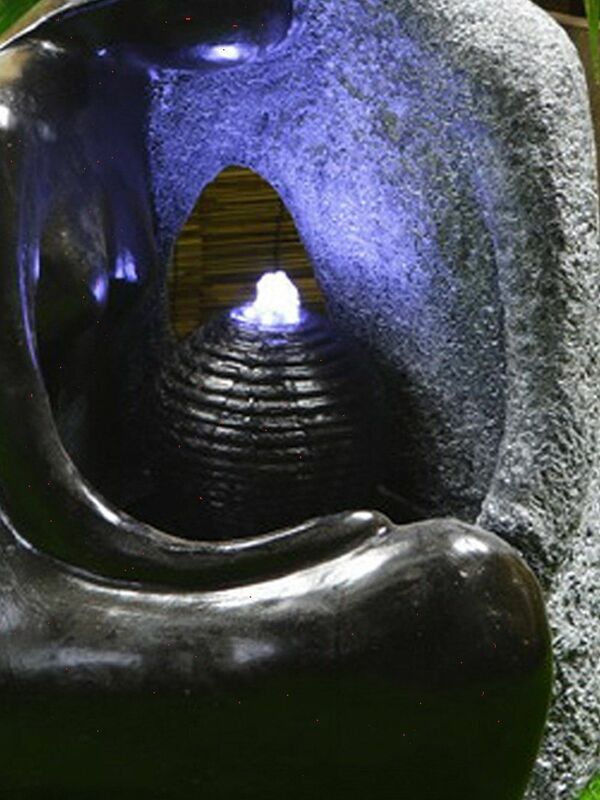 This contemporary fountain would fit into a more modern style garden, decked area or patio. It is made from durable poly resin meaning it is easy to install and move around the garden. This feature is supplied with a mains power charger meaning you can operate the feature both day and night even after a prolonged period of overcast weather. This stunning feature is sure to add the wow factor to your garden. Solar Granite Couple Water feature - customer reviews. 10 Jun 2018 Solar Powered Granite couple Water feature with Battery Back up LED lights and charger Service rating : Very swift despatch. Items well packagedProduct : Great statue - adds an interesting feature to the garden. The lighting at night time is very atmospheric.